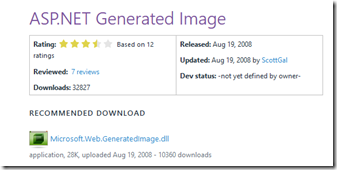 As said above,the imagehandler is based on an old but robust framework for image generation in asp.net by the Microsoft guys himself. I think they wrote it an the beginning days of ASP.NET to demonstrate the power of the product. 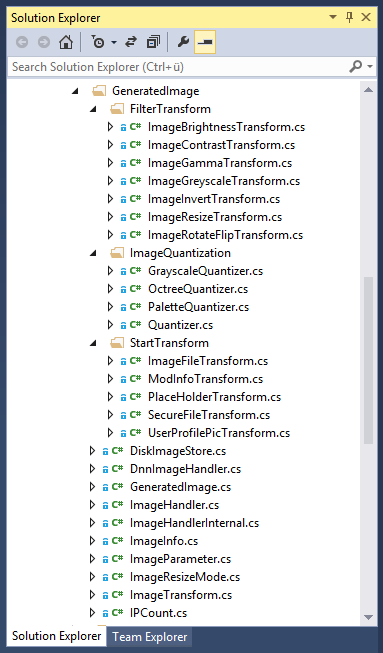 It have had also full Visual Studio Designer mode support by a ton of additional [attributes] in the source code. (I threw them out here because we don't need this in our image enigine room). 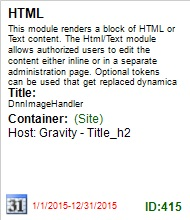 The imagehandler has full support for server site AND client site caching. Server site caching is done by building a unique hash key over the parameters and save this generated image to a subdirectory in App_Data. 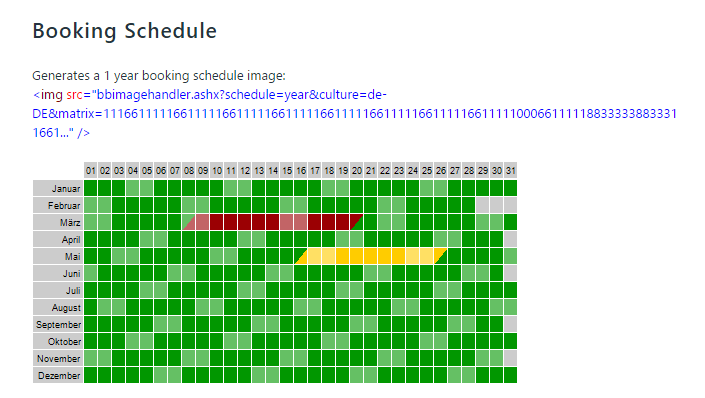 Client site caching is done by sending the appropiate 304 Headers - this works all well out of the box. What about DDOS scenarios generating tons of images with different sizes that let the cache explode (Shaun himself asked this question, remembering some issues they had with the original profile pic handler in DNN) ? Thats a point I had not thought about, but finally I found a solution; its all in the IPCount.cs class. On every hit to the imagehandler IPCount retrieves the IP address of the requester and looks for a file in App_data/_IPCount folder with the same name as this IP address. If found, it opens the file and reads the number in it and compares it to the maxAllowed value. If this border is hit, the imagehandler returns a 403 http status code (IP address rejected), if not the number is incremented by 1 and saved back to the file. If no writing appears into the file for a specified time (LastWriteTime) the file is automatically deleted. Instead of Width this can be used to leave the picture as it is until the width reaches the max value. Instead of Height this can be used to leave the picture as it is until the height reaches the max value. · fill resizes the image with the given width or height without maintaing the aspect ratio. 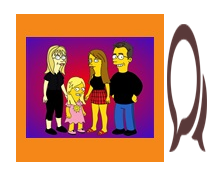 border width in pixels around the image (added to width / height) when resizemode is fitsquare or fit. Default: true. If true, every generation of an image will be counted. If IPCountMax is hit no more images are generated until IPCountPurgeInterval is up. Physically there is a file in App_Data/_ipcount for every IP containing the number of hits. When IPCountPurgeInterval is over, this file is deleted. Default: 300. Seconds for measuring the hits from one IP. Default: 180. Seconds until the image is deleted from image cache folder and generated again. Default: 60. Seconds caching the image on client site. Default: false. If true, Images could be shown standalone via image url. If false, only images integrated in a web page (referrer is not null) are shown, others return 403 (forbidden) http status code. Default: 95. 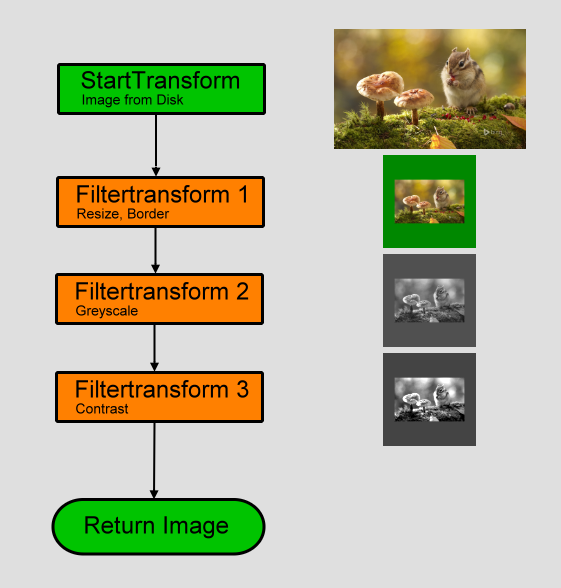 Set the image generation quality. Range is from 0 to 100. 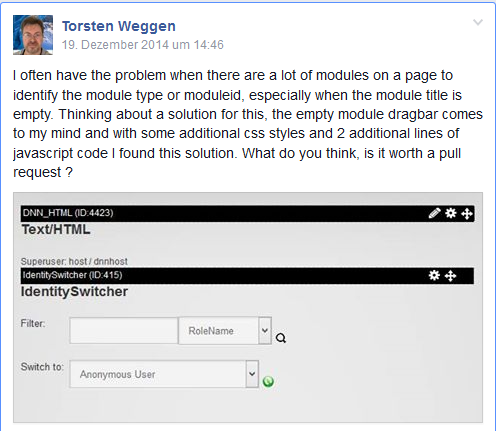 Awesome work Torsten! I've used your BBImageHandler for a long time in some custom projects and I've always thought it should have been in core a long time ago. One small suggestion about the resize filter. You may consider adopting the same functionality and names as the CSS background-size property. http://www.w3schools.com/cssref/css3_pr_background-size.asp. I think that probably handles just about everything people need to do and using the same naming convention would help with adoption and usage. 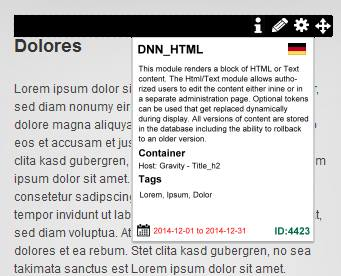 sounds great, I look forward getting it included into the DNN platform. Would this be compatible with DNN Storage providers. Cloud storage for media is an important factor moving forward. Hi Phil. I'm not sure because I have no other folder provider then the standard one to test against. But I used the standard mechanism to retrieve the original image so I think it should work - and if not it should be easy to fix. I would love to see this added to the core. I've just put a new DNN site live using your image handler and it's working great... a really nice module, previously I've been using my own coded resizer but switched to yours as it's got a lot more built in. Anyway, one problem I stumbled upon using your module was that the CDN service I use (Cloudflare) would not cache the images produced by the handler, I suppose because they're not seen as static files. Obviously getting the CDN to cache the images takes a huge potential load off the server for CPU in resizing and also bandwidth. Here's what I came up with, in case it helps. Currently for this site I always want my images in 1 of 4 sizes so I added 4 rules to DNN's friendly URL settings so I could request resized images in a format such as /ir/xxl/path-to-image.jpg which re-writes to /bbimagehandeler.ashx?width=1000&height=1000&file=path-to-image.jpg Because normally requests for images are handled by the static file provider I also created an HTTP Module to force requests to images starting with my friendly URL (/ir/) to be handled by DNN and the friendly URL provider and then the bbimagehandler. Now CloudFlare is caching all of the images and is saving over half of the bandwidth to the site and probably saving a load of processing power too. In our environment one of our website we are using BBImageHandler module. This module generates below two exception in website and causing high CPU usage and need help to configure AppSettings section for this module. Below is the Environment details. Regarding issue 1 can you help me to setup the below suitable options..
Could not find file '\\DNN\App_Data\_imagecache\C1BD0C0CAF7BEE587BE3056030C87CF7AADAC4A4.tmp'. The process cannot access the file '\\DNN\App_Data\_imagecache\2252F4BF92F0AD0D0459050DD9CFC8E992087DD9.tmp' because it is being used by another process. Access to the path '\\DNN\App_Data\_imagecache\40BF2670102250604F5F85374C6B3225AA8019E9.tmp' is denied. However, this allows the FileID to be displayed. I have encrypted the FileID via UrlUtils.EncryptParameter(FileID) but the handler won't display it (i.e. /dnnimagehandler.ashx?mode=securefile&fileid=3&fsoljf). Is it possible you add this feature? Or is there any other available solution at the moment to hide the FileID?